*** All Trail rides are by appointment. Please call ahead to book. 519-354-7517. 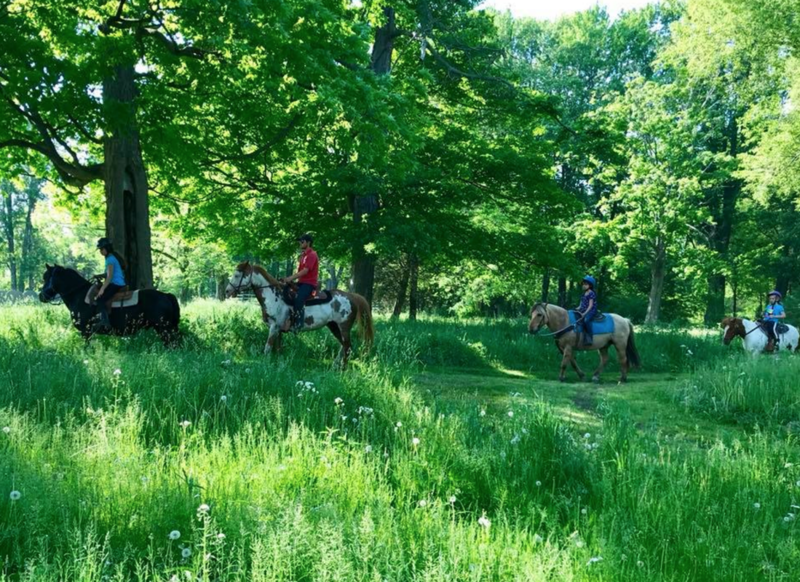 WOODLAND TRAIL RIDE SEASON USUALLY OPENS MAY AND RUNS TO OCTOBER/NOVEMBER DEPENDING ON WEATHER. It's always a great day to ride at TJ Stables! We have several acres of groomed woodland trails for public hourly trail riding. Trails open spring through fall weather permitting; indoor arena rides always available. A minimum of 2 riders is needed to book a ride or you can join in on a pre-existing ride.